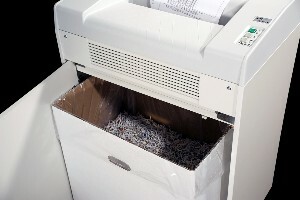 Known for their power and waste capacity, Dahle Department Shredders provide a practical solution for the destruction needs of even the busiest offices. These machines can continually shred large quantities of paper and are the perfect size for the daily, monthly and even quarterly shredding. 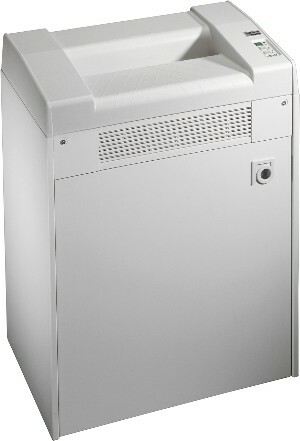 These high volume shredders feature a massive 45 gallon waste bin for longer shredding and less frequent bag changes. Usually kept in centralized locations, the Dahle Department Shreddier is the perfect addition to any large office, copy room or communications center. These machines control power consumption by using Dahle's exclusive SmartPower Energy Management System. This multi-stage system reduces power usage after ten minutes of sitting idle (sleep mode), and completely powers down after an additional 20 minutes of inactivity. 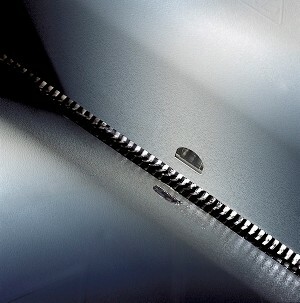 The DAHLE CleanTEC® advantage is an intelligently disgned shredder that provides air filtration, highly advanced safety features, ESP Protection, and automatic lubrication. 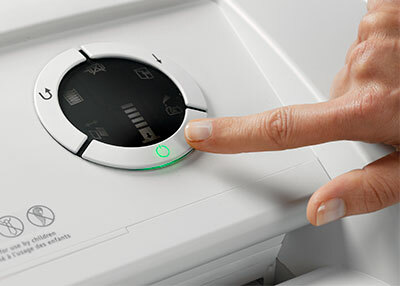 Now add the benefits of Dahle's SmartPower, and you'll discover that DAHLE CleanTEC® is the only shredder on the market that benefits your health, and the environment.